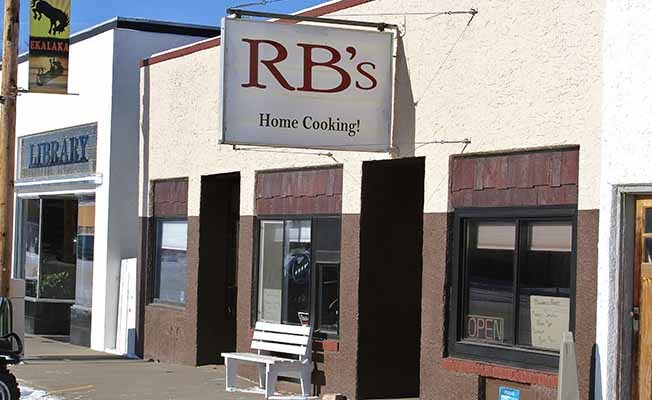 RB's Home Cooking offers home-cooked specials daily. We have a 15 salad Salad Bar, Desserts, fresh baked dinner rolls, broasted chicken, pizza, homemade soups through the winter. We can cater your party or meeting in a 50 mile radius. We fresh cut and bread our own meat. Come enjoy home town cooking in our clean, friendly facility! RB's Home Cooking is located in the middle of Main Street on the right hand side.RB's Home Cooking is located in the middle of Main Street on the right hand side.